The B&H SuperStore is not well known as a retailer of musical instruments. It’s true that our audio department has offered synthesizers, keyboards, controllers, and digital pianos for a long time, but we’re probably not the first place you think of when you’re thinking about guitars, basses, and their care and maintenance. B&H does carry a modest lineup of stringed instruments, as well as a few products for their care and cleaning. Here are some simple tips for cleaning and polishing your prized stringed instrument, if that’s the way you roll. There has been a great deal written about cleaners and polishes for guitar finishes, and each guitar player you ask will have a different opinion about them. Most luthiers (the people who build and repair guitars) will tell you that the best cleaner is simply a soft, damp—wrung out, not dripping wet—cotton cloth, such as an old tee shirt. Use it to wipe skin oil, grime, and smudges from your guitar and then use a soft, dry cloth to absorb excess moisture and buff. Old baby diapers that have been washed many times serve this task perfectly. If you have any trepidation about using used diapers, there is a multitude of microfiber polishing cloths on the market that are quite soft and designed expressly for this purpose. Just be sure not to use the knobby microfiber cloths that are normally used for dusting and polishing furniture, because the rough texture of those will leave scratches in the finish of your fine guitar. I can verify this from personal experience, so don’t do it! You can use the flat, shiny cloths or the soft, chamois-like ones. If the damp cloth/dry cloth method doesn't remove the built-up gunk to your satisfaction, then perhaps you need to be somewhat more aggressive and address the situation with a cleaner and polish. There are many guitar-cleaning solutions and polishes that can clean and shine your guitar if you feel that a damp cloth is not quite effective enough and you need to get EVERY last spec of grime off your beautiful axe (a topic that still comes up in therapy every so often). Most of these will remove gunk, fingerprints, smudges, skin-oil buildup, and shine it up simultaneously. Some polishes are designed to fill superficial scratches in a nitrocellulose or catalyzed lacquer finish, or at least make them less obvious. You can find polishes that will buff out to an incredible shine. But before you buy, read the label to see what’s in it. If there is silicone in the formula, look for something else that is silicone-free. Silicone will take grime off your guitar, as well as some finish, and it can build up in out-of-the-way places, such as the neck-heel joint or along the edge of the bridge. If you ever need to have a part of, or your entire instrument refinished, silicone buildup will hinder the process greatly. Some cleaners and polishes are available as complete care kits, which provide polish, fingerboard conditioner, and a polishing cloth. Lacquer Checking? Hold the Polish! Here's a caveat for owners of vintage instruments: If your guitar has pronounced lacquer checking, do not apply a white cream cleaner or polish. Lacquer checking presents as cracks or fissures that go through the finish, and can be seen easily when light strikes the lacquer checks from a certain angle. (California luthier Frank Ford, of Gryphon Stringed Instruments, in Palo Alto, CA, publishes a website on repair and care for luthiers and musicians, which offers a clear image of lacquer checking on a guitar.) White cream or liquid cleaners and polishes can seep into the checks, will not dissolve (they remain white), and are nearly impossible to remove. This looks a great deal worse than plain lacquer checks and can reduce the value of your vintage instrument so, unless you can guarantee that you will never need to sell your beautiful, lacquer-checked, mojo-flecked guitar and you don’t give a hoot—don’t do it! Many polishes contain carnauba wax, which is safe for most finishes, and will leave a deep, rich shine. On guitars that have polyester or catalyzed urethane finishes (check with the manufacturer’s website or customer service department if you don’t know), for local touch-ups you can even use a light polish designed for use on shiny plastics. DO NOT use such a product on a nitrocellulose lacquer finish. Ever. It's always prudent to do a little test patch in an out-of-the-way spot, on the side or back of the guitar, before you slather polish all over it. Here’s a tip, if you decide to use a cleaner and polish: Do not spray or squirt it directly onto your guitar. Put a small amount on the cloth and work the cloth gently in a circular motion in small areas on the surfaces of the guitar, then wipe off and buff with a soft, dry cloth. Work in sections this way. Avoid smearing polish or cleaner on the raw wood of the bridge, along the edges of the pickguard, and in joints such as where the neck connects to the body of the guitar. If you do see polish in these areas, wrap a thin, soft cloth around a toothpick and use it to clean out the polish, or use a clean, soft-bristle toothbrush gently. Following these simple guidelines will render a clean, shiny finish without problems such as polish building up, or becoming stuck in cracks or joints. Again, use cleaners and polishes only if the damp cloth method isn’t enough to get the grime off. If the fretboard of your guitar is made of real wood, you can clean it lightly with 0000 steel wool. Wipe or brush off the little steel filings with a cloth or soft brush, and then rub a few drops of fretboard-specific lemon oil or bespoke fretboard oil into it. Just use a few drops—don’t overdo it—on your cloth, rub it along the fretboard, let it set for a minute or two, and then wipe down the fretboard with a clean cloth. You only need to do this once a year, preferably in cold weather, when heating systems come to life, the relative humidity starts to dip below 45%, and the air is dry. This should keep your fretboard clean, conditioned, and less prone to shrinking or cracking. However, one of our readers suggests that the filings from steel wool (which is magnetic) can drift into electric guitar or bass pickups, and affect their performance. In addition, I would not advise the steel wool approach for maple fingerboards, which are frequently treated with some form of finish. For electric guitars and basses, I would recommend a cleaner conditioner such as the one in the next paragraph. If there is excessive grime on your fretboard and you want to clean it with something other than 0000 steel wool, I recommend a product like the GHS Gorgomyte Fret and Fingerboard Cleaning Cloth. Made from a non-abrasive material that has been treated with a mild cleaning/conditioning agent, these cloths will remove finger oil, grime, and grit from your guitar’s fretboard, polish up the frets, and leave the wood with a subtle luster. Follow the instructions on the package. I have used this product on the ebony fretboards of my acoustic guitars, and even though the cloths don’t smell like roses when you’re using them, they do exactly what they were developed to do, with no residue and an aroma that may linger with less intensity for a day or two. The fingerboards were left clean and smooth, and felt much better under my left-hand fingertips. The wound steel strings of an acoustic or electric guitar have tiny spaces between the windings that tend to collect oil and gunk from your fingers. Build up enough of this finger effluvia and your strings start to go dead and sound dull quicker than you can play “Beaumont Rag.” It’s OK and still manly to clean your strings after you play (just like it’s OK to wipe your guitar down after you sweat, drool, or spill beer on it) and you have one or two options in this regard. You can just wrap your all-purpose microfiber cleaning cloth around the strings and wipe them down, top and bottom, or you can go a little more handy-dandy and spray your cloth with a bit of liquid string cleaner. And you know those nickel chrome buttons on the tuning machines on your guitar that show every arch, loop, and whorl of your fingerprints? 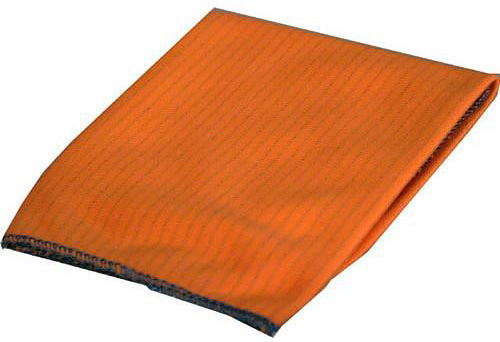 Just wipe those incriminating prints off with your microfiber cloth. Do you have any cleaning techniques of your own to share, or questions? Post them below, in the Comments section. Thank you for your input and for reading! 1. Most maple fingerboards have a clearcoat of some variety, so using steelwool on these necks should be avoided unless you want a satin finish (or removal of the clearcoat). For these, just wipe down with a damp cloth and dry with a soft towel. Baby wipes are excellent for this, followed with a soft microfiber or cotton towel. 2. Bare wood fingerboards, commonly rosewood or ebony (and others) can be cleaned with steel wool and oil. However, steel wool breaks down into tiny little pieces that can make their way into the pickups (on an electric), which could damage the wax potting and make for a microphonic (or shorted) pickup. Brass wool is non magnetic, but it also sheds little pieces that can get into the potting. So... If you're going for a heavy duty cleaning with steel or brass wool it's a good idea to remove the neck, assuming a bolt-on. 3. 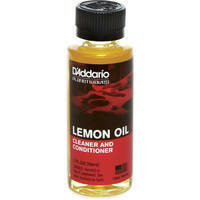 Finally, lemon oil that you find in the grocery store cleaning section has been known to accelerate drying of wood. It'll leave the 'board clean and smelling lemony, but that's about it. On my own basses (G&L) I remove the neck and use 0000 steel wool to work in Orange Oil from General Finishes. I work in a liberal amount with steel wool and wipe off the excess with a soft cloth. Of course, purpose-made fingerboard cleaners are a good choice and one should carefully follow the manufacturer's directions for those products. I agree about maple fingerboards and will add a caveat to the article. It completely escaped me when I was writing, since I am mostly an acoustic guitar player and rosewood and ebony fingerboards are what I was visualizing, which also extrapolates to your comment about cleaning electric instrument fingerboards with steel or brass wool. As far as lemon oil drying out fingerboards, and I am referring to the conditioning type that is made for fingerboards, which has been recommended to me and vetted by several luthiers with whom I am acquainted. Perhaps a specially formulated fingerboard oil would be preferable. And this would be correct. I run a little G&L bass focused forum where fingerboard cleaning/treatment has been touched on over the years, so I tend to write for people who might have little to no knowledge of the subject matter. In this case, a great many folks who read "Lemon Oil" just think of the grocery store variety. We try to head these players down a path to more appropriate products and away from others that might not be so good. Nice post up top, Howard. Thanks! Much appreciated, Ken. We will not direct those readers to the grocery-store products! Thanks again for sharing your thoughts. most modern poly finishes can be precleaned with windex [or the dunlop cleaner] and m/fiber cloth.. be careful with older and varnished finished as windex may act as a solvent.. if in doubt use water. mcguiars is fantastic.. cant go wrong with their 'finishing' product..
A few years ago, I fixed a serious ding on the neck of a Huss and Dalton guitar by executing a super glue drop-fill finish repair. Huss and Dalton guitars are finished with a thin coat of catalyzed urethane. After I had leveled and wet-sanded the drop-fill, I polished with one of the Meguiars plastic finish polishes and the results were terrific. I try not to polish too often, but wipe down with a microfiber cloth after I play, and occasionally a damp, followed by a dry, soft cloth. I would not recommend any window cleaner for older nitrocellulose or varnish finishes. So you are saying the Lemon Pledge I used 50 years ago on my Tele was the wrong thing to do? Can I borrow a time machine and go back and tell myself? As long as you decide to never have your Tele refinished (and if I had a 50-year-old tele, I'd leave it be) you'll likely be OK. Lemon Pledge contains silicone, which adheres to finishes and builds up over time. If you refinished or did finish touch-ups, there is a strong likelihood that the new finish will not adhere to the silicone. But hey—if it still plays great, and sounds great, even if it displays lots of mojo (wear), not to worry. And no time machine necessary. I hope you're still enjoying that guitar. Thanks for thecleaning tips. I had no idea how to keep my Stratocaster clean and shiney.Although I always suspected the Jimi Hendrix Method( pourng lighter fluid on and setting it fire) wasn't helping. You're welcome, Gary. The Jimi Hendrix method comes close, but lighter fluid contains oils and some other impurities that you don't want coming into contact with your guitar's finish. If you must use a light solvent to dispel a particularly stubborn spot, I'd recommend straight naphtha. It cuts the gunk and evaporates rapidly, leaving no residue. 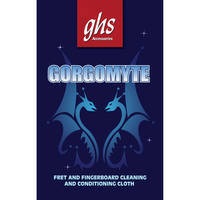 You can use it to clean a fretboard, but I much prefer the Gorgomyte cloth for that because the naphtha tends to dry out unfinished wood. As I wrote, the damp (not soaked) soft cloth, followed by a dry soft cloth, usually takes care of the normal fingerprints and skin oils. Thorough and thoroughly funny! It's great when you learn something and get a few chuckles at the same time. Thanks for a helpful guitar maintenance guide. You are quite welcome. Thanks for appreciating the inherent humor. Usually, people just give me a sidelong glance before the eye roll. The best product I have found for cleaning and protecting polyurethane modern guitar finished is : Meguiar's Professional "Detailer Last Touch" cleaner and protector #D155. this stuff is amazing, it leaves a glass like look and feel on the finish , is safe for plastics and metal, is non greasy and has a distinctive strawberry scent. it comes in a 1 gallon bottle for a very moderate price, a few years back ( 15 ) I bought a 4 oz bottle of this product relabeled as "Red Gold" guitar polish for $12 at the NAMM show in LA. One day while looking for something at my local auto parts store I saw this gallon Bottle of Meguiar's detailer last step, it looked like the "Red Gold" product I opened and smell it and it was the exact same product and it was selling for $19. I have been using this product on my guitars, my car, my bicycle and many other uses. The Meguiars is great stuff, especially on newer guitar finishes that are urethane-based. 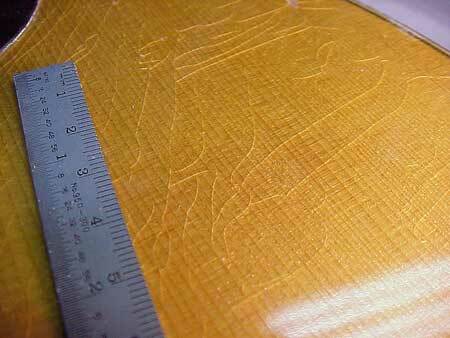 I'd be hesitant to use it on a vintage guitar that is finished witih nitrocellulose lacquer, though. Always do a small test patch in an out-of-the-way spot if you're not certain. Enjoy all your shiny objects! Clean is beautiful.